The world famous Dal Makhani now in a Jain style. This is a popular, easy-fix maharashtrian dish. The combination of jaggery and kokum gives a sweet and tangy taste to this usal, which is made using vaal. You would definitely have used green peas as part of many a recipe, but now try this bengali-style dal that is made exclusively with green peas and just a dash of common spices to pep it up. Rangoon na vaal is a wholesome yet effortless preparation of field beans. The use of varied ingredients like jaggery, imli, chilli powder and ajwain imparts a unique sweet and sour tang to this dish. Soaking is very indispensable, so plan accordingly. Vaal ni dal is an interesting and unique preparation of field beans, that is prepared often in guajarati households. The raisins contrast and complement the choice of spices used in this recipe. When served with rice and a good choice of sweet, vaal ni dal qualifies as festive fare! 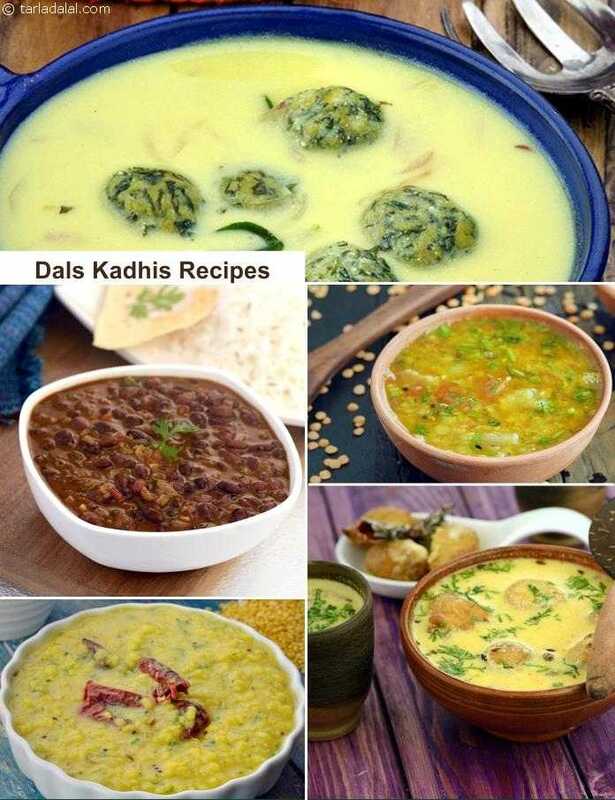 Mixed kathol features a wonderful combo of pulses cooked and presented the gujarati way. Kathol is part of the ‘jaman’ served during the festive seasons, but it is also made regularly in gujarati households throughout the year.